Using the services of a divorce accounting firm in Denver, CO has the ability to help you sort out financial issues to ensure you get what is rightfully yours during a divorce. Forensic Accountants in Denver, CO will also analyze assets including tracing assets, and help parties agree upon or at least understand the division of valuables. A forensic accountant in some instances can also unearth items that were not volunteered at the beginning of the divorce process. There are many things to keep in mind during the divorce process, and that is why it is important that you work with your Forensic Accountant closely. You have already gone through enough emotional trauma, and you want to ensure that you are seeing the details in black and white when tax time rolls around. Here are some things you will want to keep in mind. Children are valuable for tax purpose, so you will want to work with your Forensic Accountant and your attorney to elect who gets to claim the children and to determine which children. Otherwise, you could miss out on a deduction or credits that could have been beneficial to you. If more than one child is involved, then the rights to claim the kids may be an important area of negotiation. The arrangement of claiming tax exemption credit may be not included in the divorce decree, so the appropriate paperwork will need to be put into place. You and your ex-spouse may need to fill up the IRS Form 8332 to attain the agreement on tax exemption claim for children between custodial parent and non-custodial parent. A forensic accountant can help you in all these processing. Your filing status will help determine how much money you may owe or get back and what your deductions are. If you are able to claim head of household, then you will see a savings on your tax return. Your Forensic Accountant will be able to help you determine which filing status is right for you. It is important that you understand that Alimony (or Maintenance) is taxable to the one receiving it, providing it being paid pursuant to a court order. 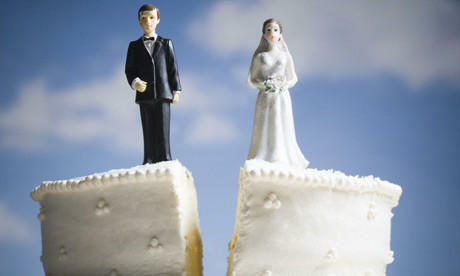 The one who is paying the alimony will be able to deduct it. Alimony and child support are initial issues to be addressed by your Forensic Accountant and your attorney. They will be able to give you a thorough analysis, so that you understand what will happen when tax time rolls around. Many couples fight over assets during a divorce, your Forensic Accountant will help you understand what the impact is of each of those assets for tax and other economic purposes. There are always two sides to owning assets. While you want them, they could end up costing you a significant amount of money and tax time. It is important for you to consult with your Forensic Accountant to ensure you are getting the best benefits possible at tax time. They have the skills to understand and analyze your financial situations.